Note: The 15 presentations linked below will download as PowerPoint files. 3:15 PM – 4:30 PM 2020 Discussion – What are the SDCs doing? 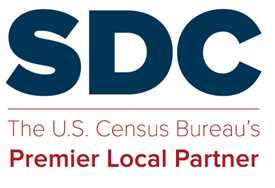 What is the DDS staff approach in regard to disseminating Census Bureau data and program information to his/her assigned area? Name one or two specific areas or tasks where we can collaborate. What are you planning to do to support the 2020 data collection operation? In terms of the relationship between the SDCs and DDS/DDB, what is working well? What needs to be changed? We would like to ‘crowdsource’ suggestions for strategic national partnerships. Who should we prioritize from your perspective and what would be the ‘top three’ partners you would suggest working with and why? This entry was posted in Events, Sharing and tagged Annual meeting, Census user how-to and documentation, Presentations and webinars.